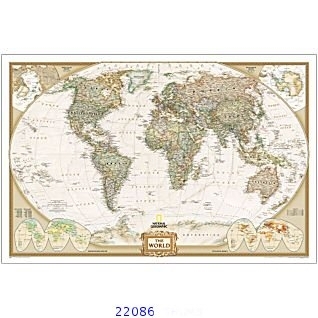 A current political map that features our world in rich, earth-toned colors. 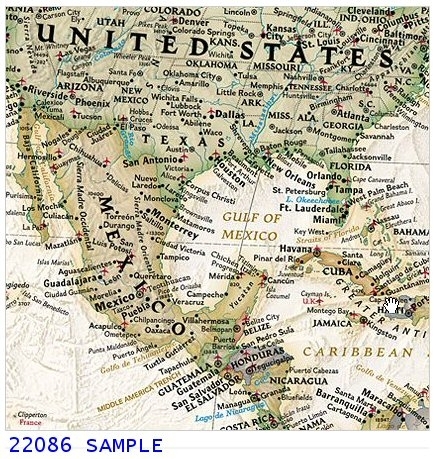 Enlarged dimensions, astounding detail, and boardroom quality make this map excellent for reference in your home or office. Features the Winkel Tripel projection to reduce distortion of land masses as they near the poles. Winner of the 2001 Premier Print Award from Printing Industries of America for "a unique ability to create visual masterpieces"